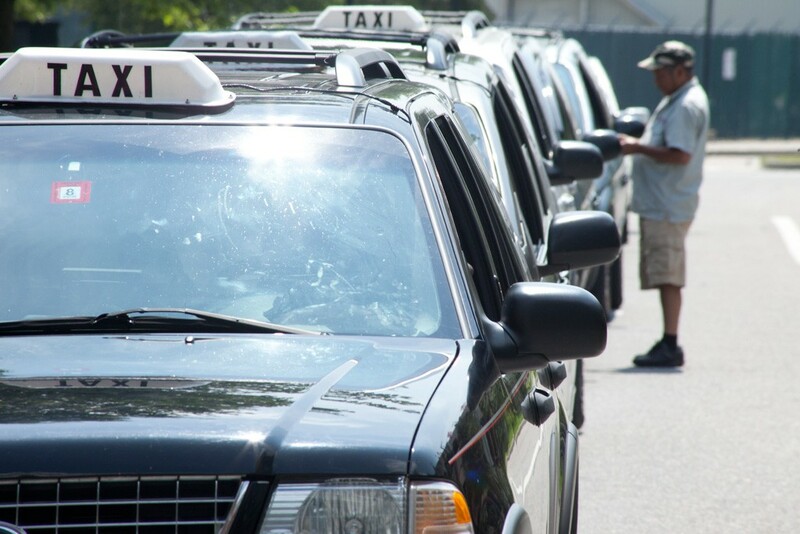 It's been nearly a year since Jeff Munger, chair of the airport commission, penned an urgent letter to Burlington's mayor and city council asking them to fix glaring problems with the way taxis are regulated. On Monday, the city answered Munger's plea — at least it started to. After months of study, the city attorney's office has come up with a list of recommendations for fixing the city taxi system. Now, Mayor Miro Weinberger is reviewing its report, with the goal of presenting a plan for action to the city council before its October 20 meeting. The city council can also weigh in with suggestions before September 24. For the last decade, airport staff have been in charge of giving out taxi licenses, making sure taxis are playing by the rules and fielding complaints from drivers and passengers. The arrangement — in addition to creating more work for those employees — has made downtown Burlington a "Wild West" when it comes to enforcement. Figuring out how to actually enforce taxi rules has been high on the priority list. As Munger put it in his letter: "Anyone can put a magnetic sign on a vehicle as a taxi, operate in the city and never get caught." To address this, the city attorney recommends analyzing taxi-related complaints, and based on that review, possibly hiring a part-time enforcement officer to supervise downtown taxis. "Frankly I still think they are tepid in their attempts for enforcement," said Charlie Herrick, owner of Green Cab. The city won't have too much to analyze — only about 10 formal complaints were made last year. The report points out that this is another problem with the current system. There's no easy way for people to file complaints; they can either call or go to the airport to do so. The report suggests creating an online complaint system. Herrick wants a hotline posted in every cab for passengers to call when rides go awry, and he thinks city staff need to "ghost ride" to find the errant drivers. In general, the report addressed most of his concerns, but Herrick, who showed up to Monday's meeting hoping the city council would discuss the findings — they didn't — still has one major worry. With digital companies like Uber eyeing the market, he and other taxi operators have gotten increasingly antsy for an answer on how or if the city plans to regulate these new players. On that topic, the report is silent, although it does note that the city attorney plans to offer specific recommendations at a later date. Green Cab's owner predicted "intense discussions in the coming weeks about having all companies follow the same regulations." According to Herrick, Uber has contacted multiple drivers, although the company still hasn't announced plans to launch in the city.